It will seem like an odd confession for a minister to make but because of the intense busyness of the past few months, Easter has been all but lost on me this year. I have not taken the usual and needed time to dwell in the season of Lent, and Holy week has felt like just another week with too much to get done. Suddenly it is Easter. What does it all mean, and where did that time go? I am sad. Reflecting on this situation has me thinking about Easter lilies. I envision the lovely softness of the petals on those gorgeous, white, trumpet flowers set against a backdrop of deep green leaves. I remember their fragrance, so pervasive one would think there was one right here in my study. There is not, but I can almost smell its sweetness. The Easter lily is the subject of many legends, most if not all of them apocryphal. Some stories claim that lilies sprang up where drops of the sweat of Christ fell in the Garden of Gethsemane. Others say that after three days the tomb of the Virgin Mary was found to be filled with nothing but white lilies. Even more ancient stories of lilies trace their roots back to tales of Roman mythology. The truth about how this flower came to be so closely associated with Easter is a mystery. In this, it presents a parallel to the mystery of Easter itself. I find it a fitting symbol; a quiet, lovely presence in the midst of chaos and disaster. As I prepare these words it is only Maundy Thursday, but by the time you read them, Easter Sunday will have come and gone. 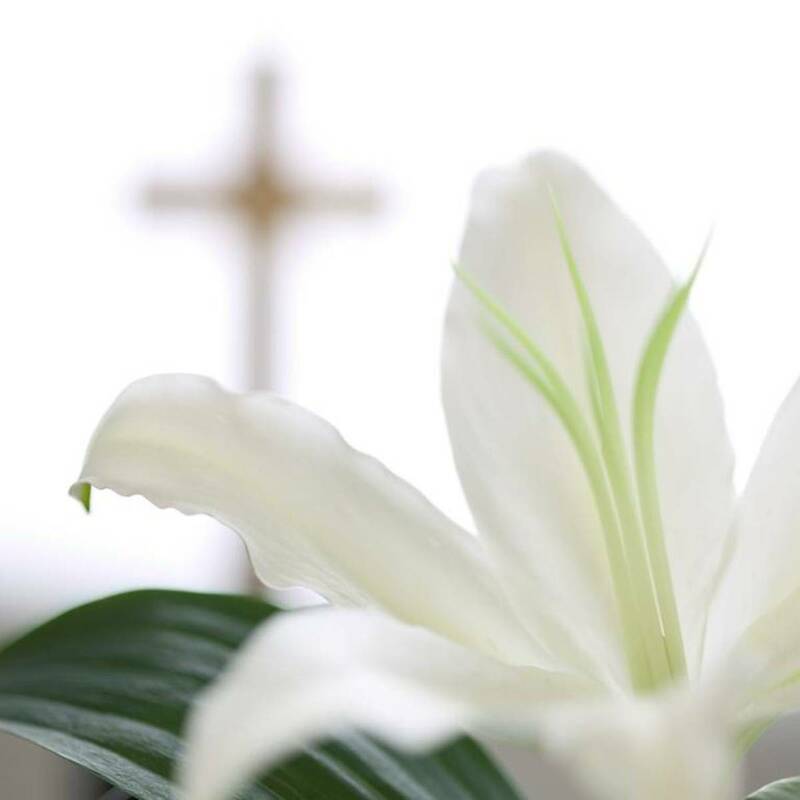 The banks of Easter lilies from the front of the church will have been distributed to the elderly or others whom congregational leaders hope will be blessed by the flower’s presence. Each potted flower will have been given with a prayer that this gift may carry the message of love and thoughtfulness that the congregation intends. Let each plant carry the message of Easter hope to the heart of every recipient. While we are on the subject of lilies, this year especially it is worth a moment to reflect on the origins of the flower we know in North American as the Easter lily. Prior to World War II, almost all lily bulbs were imported from Japan. A returning American World War I soldier named Louis Houghton is reported to have brought a suitcase full of lily bulbs home with him to the southern coast of Oregon in 1919. Houghton is said to have shared the bulbs with some of his friends who grew the flowers as a hobby, and they did well in that area where ideal conditions exist. When the supply of bulbs from Japan was cut off as a result of the attack on Pearl Harbor, the rising price of the bulbs suddenly made the lily business a viable industry for these hobby growers, and a new industry was born. Today, virtually all North American Easter lilies originate from one of ten farms along the California – Oregon border. The Easter lily represents many things to many people. The flower has come to symbolize purity, virtue, life and hope, the spiritual essence of Easter itself. For me, it is a symbol of mystery; a quiet presence of stillness and beauty in the midst of chaos and disaster. I look forward to gazing on its beauty on Easter Sunday morning, and this year, I will also remember the people who struggle with disaster in Japan. May they also be blessed with grace and hope in the midst of devastation and chaos.